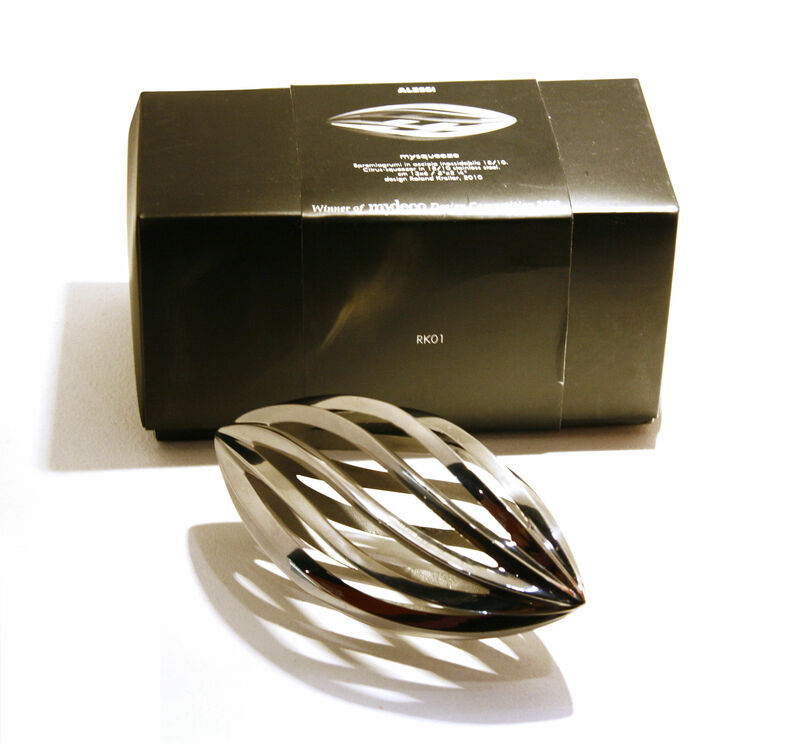 Citrus-squeezer in 18/10 stainless steel. 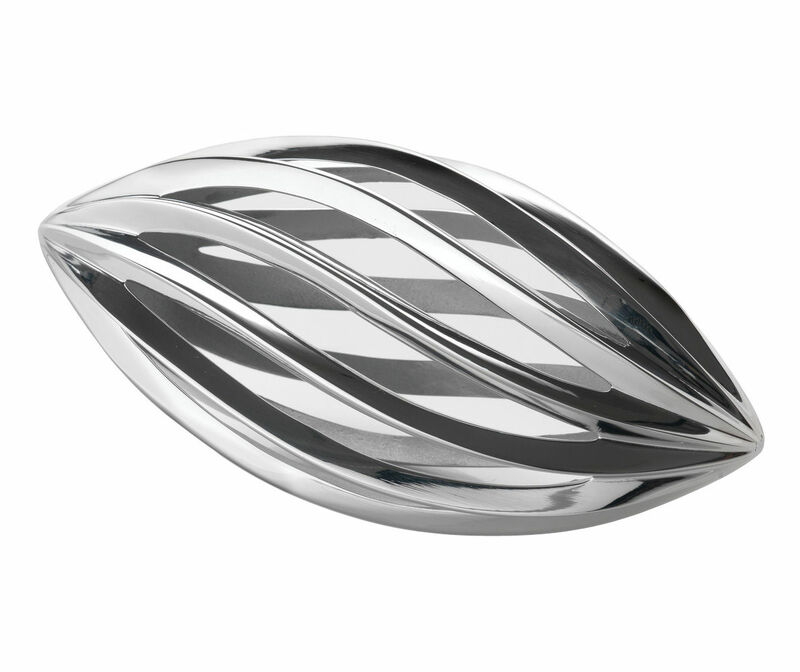 "mysqueeze", designed by Roland Kreiter, is a citrus squeezer is designed for use directly in your hand and was awarded the Pure Creativity 2009 award organised by Mydeco.com, awarded by a jury chaired by Philippe Starck and Sir Terence Conran. The reason "mysqueeze" won the prize was that, 20 years on, it can be the new icon, heir to the "Juicy Salif" designed by Philippe Starck, the citrus squeezer produced by Alessi which went on to become one of the most renowned icons of contemporary life in all four corners of the globe. 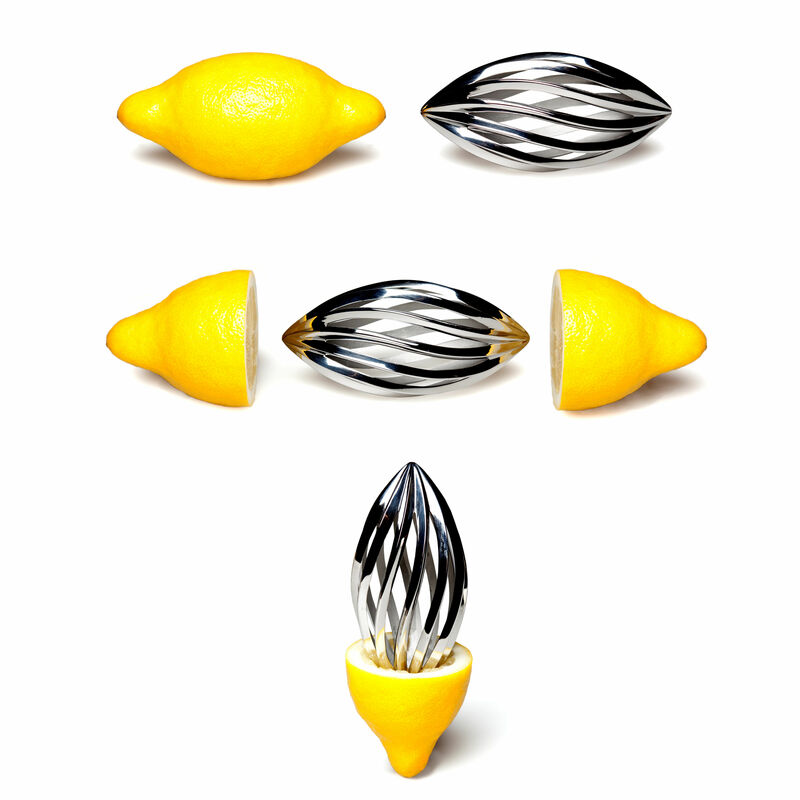 "mysqueeze" is especially suitable for squeezing lemons, which often have to be squeezed for just a few drops of juice, perhaps directly over food. "mysqueeze" looks good directly at the table, on a saucer, ready for use.